On April 14th, 2002, we had the privilege of hosting a member of the Galaxy Rangers production team in an IRC-chat session, David Rosler. 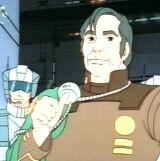 David worked as a storyboard artist and character designer when the project was being produced. Now running his own company, David stumbled across Betamountain.org a short time ago and contacted us about spending some time looking back down memory lane. <DavidRosler> I DO know the answer to that and almost always when it comes to secondary characters the story comes first. So we would get the screenplay or a part of it... and whoever's job it was would design under David Gregg's direction. They ALWAYS knew what they wanted. Now that you mention it there were times when they would hand us a PHOTOGRAPH of someone. Carl Sagan was one. The kid from "Lassie" was another. But rarely if ever do I recall a story being designed around a character. I forget the name of the character designed after Sagan. Wait... "Senator something"
<DavidRosler> It should be completed in a few months. Heavy on the CGI. Some articles coming out soon, including a feature in Femme fatales (the three main characters are women). Actually, if you like the Galaxy Rangers you might very well like The Aries Knights. If you want I'll keep you posted on the details. (There’s) very big production values on this. we're rather proud of it, actually. it's no cheap-o movie. 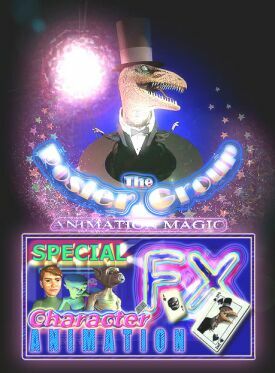 :-) It’s a live-action feature with additional CGI creatures by the way, just so you know. <DavidRosler> Not as zany as Farscape... more intense drama and the comedy coming organically from the drama.... Farscape, while good, is a bit more like a vaudeville show to me, though top vaudeville honors must go to Lexx. <DavidRosler> My company, called The Rosler Group, is a design and animation/FX firm, and the production grew from that. <DavidRosler> We think so. People have seen some rough cuts of scenes and sat engrossed on the drama, laughed at the jokes and said "cool" at the action scenes, so I think we're doing okay with it. <DavidRosler> We're changing domains. If you do a search on The Rosler Group you'll find a link, but there is no Aries Knights page yet. When we have one it'll be an entire site. It’s a proposed series of features with a lot of back-story. <DavidRosler> Actually, I have been a genre fan all my life and would have been sitting in on a forum like this if there were such things years ago, so I’m happy to be doing my part on the other side of the screen. :-) I came on pretty soon after they started I think, but the ORIGINAL designers were Ed and oops... what's the other guys name? There was a lot of initial designing on GR before I came on, but mostly just the main characters. 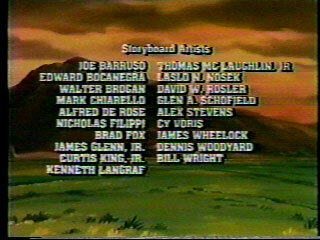 <DavidRosler> the original designers were done by Ed and.... what was the other? I think there was a big wave of hiring just after they moved into the offices and I was on the tail end of that. Anyway...Ed and Ray were working for Robert when Robert was working out of his home office as I understand it. That work was then used to raise the financing for the show. 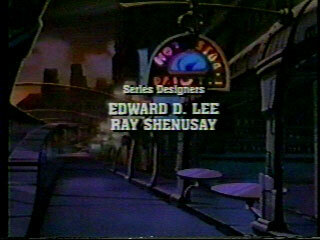 So Ed and Ray were the ORIGINAL designers for the show, though even the main characters were tweaked a bit as the show went into production. <DavidRosler> Ed was funny in a way.... he confirmed to me what I had been told early on: that he REALLY wanted to be a fashion illustrator at the time, so all his character designs he did had a gorgeous, illustration style to them. Unfortunately, and this is only an opinion, there seemed to be a downside to it.... interested? <DavidRosler> well, the further from the actually drawing style of the animation you go, the more need there is on the part of the animators to interpret what they are given. If you draw it in EXACTLY the animation style, they essentially have a blueprint. Well, Ed's stuff was half-photographic in illustration style. And the show, during production in Japan, was handled by four different divisions of the animation company. Hence, Niko, for instance, ranges from looking athletic tomboy to petite intellectual, depending on which division was working. <DavidRosler> Not work in reproducing it. Extra effort maintaining the consistency, because if you hand a bunch of cartoonists a line drawing, they'll give it back with small variations. If you give each one a photograph, you get WAY different interpretations. <DavidRosler> "Mothmoose" (Obi Wan imitation) there’s a name I've not heard in a long time. <DavidRosler> I do have a metal badge. What's the question? <DavidRosler> Gee, I have no idea. All I know is that all the pre-production staff, the designers and artists mostly, though the secretaries perhaps also, got one. It was some form of costume jewelry and very well made. I often wore mine to work and that's no joke. When the president of the company gives you a pin personally you wear the damn thing, and I was happy to. <DavidRosler> I have it to this day, in fact. It’s a treasured memento from a really fun production to work on…. but I would never part with it. Like a set of cuff links my father gave me as a teenager, there's just too much sentimental attachment to it. <DavidRosler> do you want me to confirm if it's genuine? I did see the mail you sent. It looks like the real thing to me. Where did he get it? Bob... strange. To my knowledge those badges were only ever given to the people of the art staff. <DavidRosler> my pleasure, Scott. That reminds me of a story, may I? <DavidRosler> Scott said "honored guest". A few years ago I was in the lovely Caribbean country of Trinidad doing some work which was essentially for all of Caribbean television (Trinidad is essentially the flagship location for all of the island television stations) and at one point was invited to their version of a senate council of some sort (forget the proper title of the Governmental body)... and it had a lot of the old world British still attached to the proceedings…. All very formal with dignity dripping from each inflection. And at the beginning I was introduced even though I was only there as an onlooker. **** On my first Saturday in Trinidad I sat down in front of the TV to try to absorb what the television market was down there…. Trinidad is the southern most island in the Caribbean. So I settled down with my breakfast at 9 am, turned on the TV, flipped the channels and what do I see? 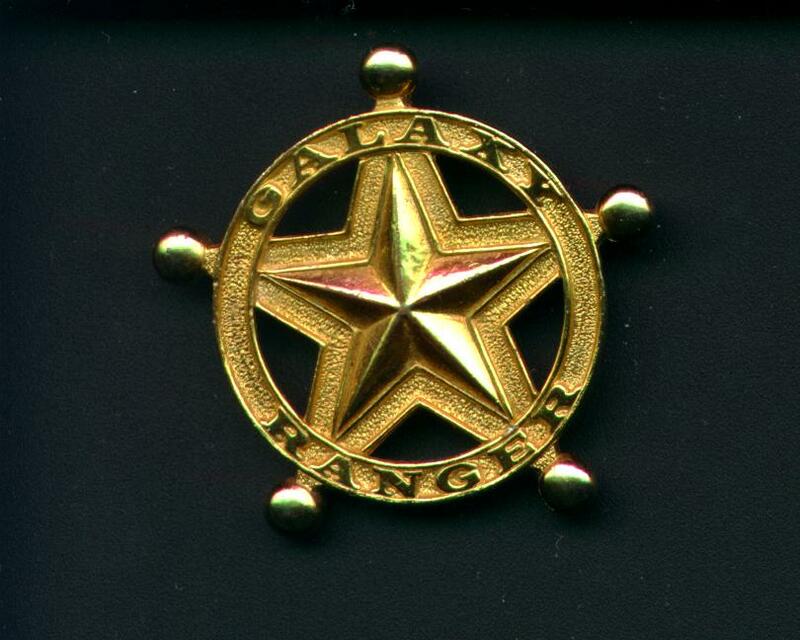 The Galaxy Rangers! <DavidRosler> Nothing was "handed down" really, it all got done in the general creative pit, though I had not one thing to do with the environments. I did storyboards and characters; Alex Stevens and Laslo Nosek did the primary environment art. God this is bringing back memories. Shall I tell a Laslo story? **** received via email post chat.